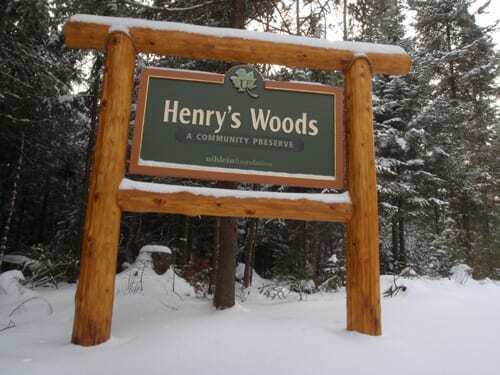 Backcountry skiers should find good snow on many of the popular trails in the Adirondacks over the holiday weekend. We have a foot or more of snow in the Lake Placid region, and temperatures should remain below freezing into next week. Tony Goodwin reports that the entire Jackrabbit Trail (twenty-four miles from Keene to Saranac Lake) has good cover. Two days ago, I skied the Jackrabbit above Whiteface Inn Road, and it was excellent. There was well more than a foot of snow in the woods. Click here to read Tony’s full report on conditions in the Lake Placid region. 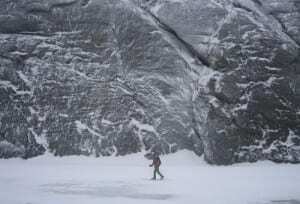 A skier crosses Avalanche Lake near the cliffs of Mount Colden. Photo by Mike Lynch. People also have been skiing Avalanche Pass. 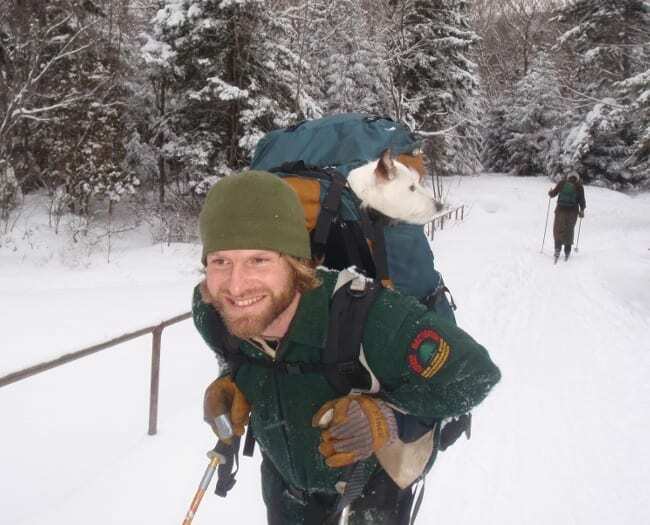 Ken Aaron, the spokesman for Paul Smith’s College, snowshoed from Adirondak Loj to Avalanche Lake yesterday. He reports that he found packed powder the whole way. “There were a lot of skiers, and they were all having a good time,” he said. 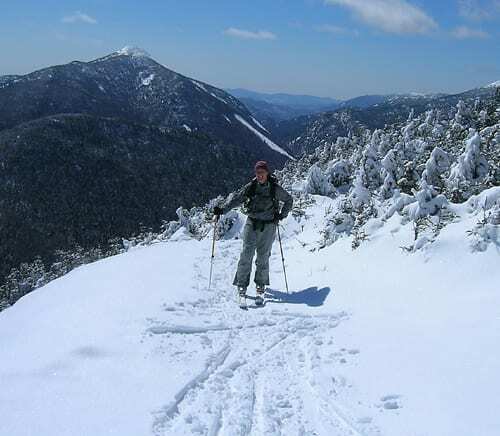 Ron Konowitz skied Mount Marcy from the Loj yesterday. 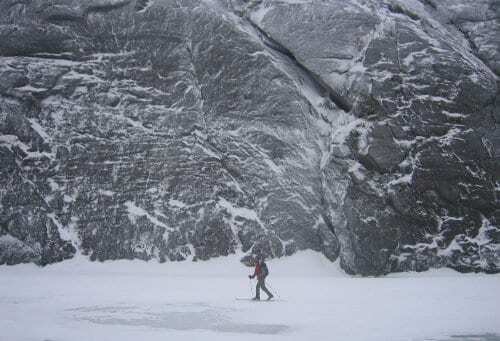 He reports that it was good skiing except for rocks in the stretch along Phelps Brook (between Marcy Dam and 50-Meter Bridge). Friends today were planning to ski to Raquette Falls and Whiteface Landing. I have every reason to think they’ll find the skiing excellent. Click here for a snow-depth map of the Northeast.